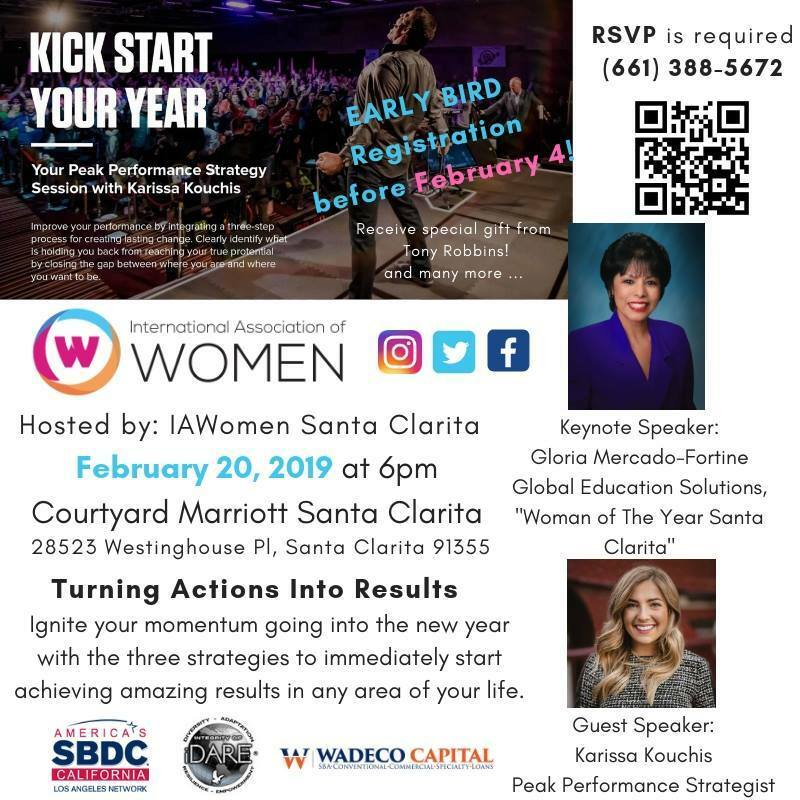 Nicky Dare Kick Start Turn Your Actions Into Results event on February 20 is fast approaching...Early Bird Tickets extended to this Friday Feb 8 | Get yours today! Be sure to get yours today before Early Bird ends this Friday!! Countdown to 2 weeks today. Member $25, Non Member $30, includes swag bag and complimentary wine tasting, special gift from Tony Robbins, and many more exciting items to come ... At the door price $45. 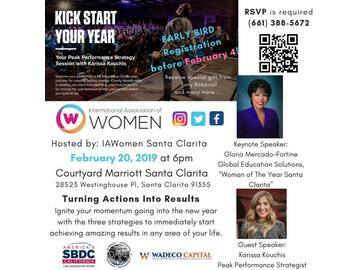 RSVP here: https://www.eventbrite.com/e/kick-start-your-year-turning-actions-into-results-tickets-53675870975 Bring guest(s). See you all soon ! Our next monthly Chapter Meetings: 3rd Tuesday every month, 5:30 pm - 7pm at Winery room at Mimi's Cafe in Valencia.